The Montana State Showcase Tournament hosted here in Helena on June 17 & 18, 2017. 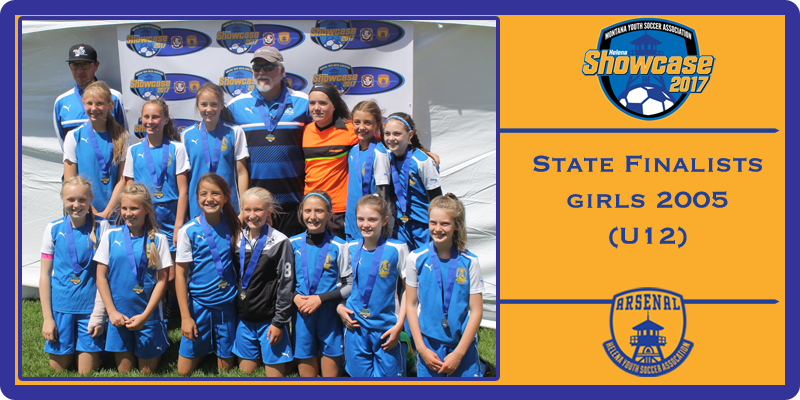 U12 Arsenal Girls Blue team coached by Sean Lawlor and Jamul Hahn, closed out a highly successful spring season with an impressive 2nd place finish in the U12 Girls Gold Bracket at the 2017 MYSA Showcase Tournament held in Helena this past weekend. 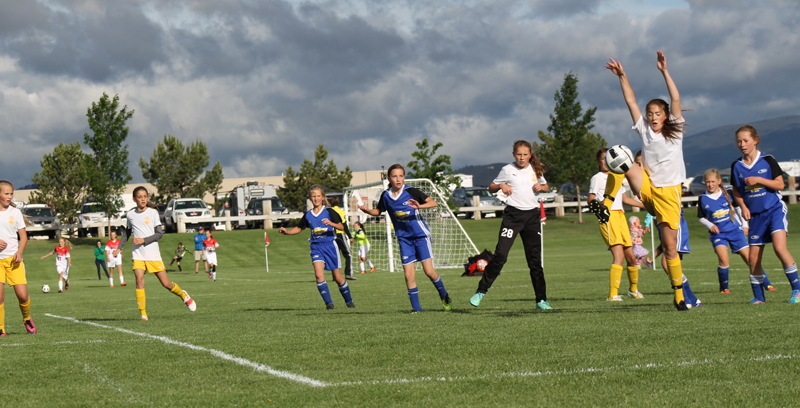 Heading into the championship match, Helena amassed a scoring differential of 15-3 against their opponents defeating MT Rush 2-0 in the first match up on Saturday and definitively avenging an earlier season loss to Flathead Force by winning 9-2 in the second contest of the day. 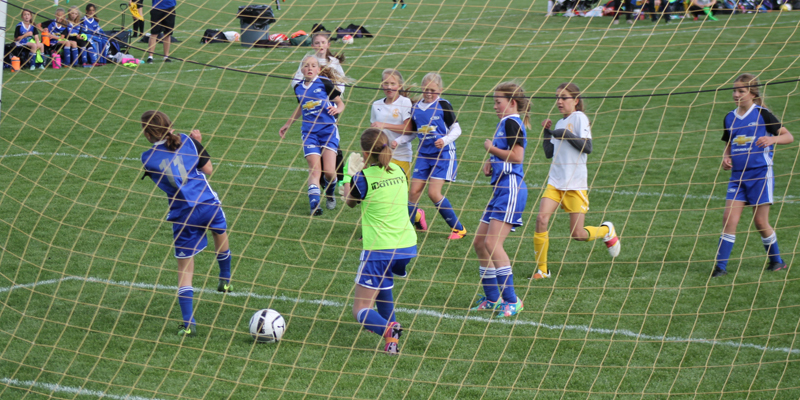 On Sunday, they came ready to play for the semi-final match vs. Bozeman Blitzz, which resulted in a 4-1 victory. 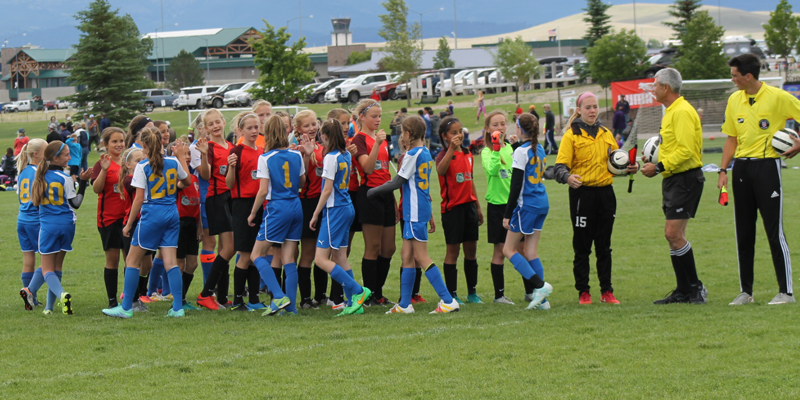 Unfortunately they lost a bit of steam by their fourth game of the weekend and fell to a talented Missoula Strikers team in the championship. The weekend provided an awesome exhibition of the breadth of skills and teamwork the players have developed throughout the season. Often tasked with playing a variety of positions, the girls were always willing to do what was asked of them and gave it their all. Leading a well-balanced attack were Logan Todorovich (3 goals, 2 assists), Avery Kraft (2 goals, 3 assists), Madi Todorovich (2 goals), and Asti Hahn (1 goal), with robust finishing from Isabelle Linder (1 goal, assist) and Morgan Kaufman (1 goal). Strong midfield play was displayed by Tess Lawlor (5 goals, 2 assists), Lauren Hoxie (1 goal, assist) and Morgan Hayes (1 goal). Josie Esponda, Sydney Emmons, Brooklyn Brisko, and Celi Chapman were a fortress on defense with Brisko also providing excellent goaltending with assistance from Emmons. After participating in four conference weekends and five tournaments throughout the spring season, the team finished with an outstanding 20-5 record.